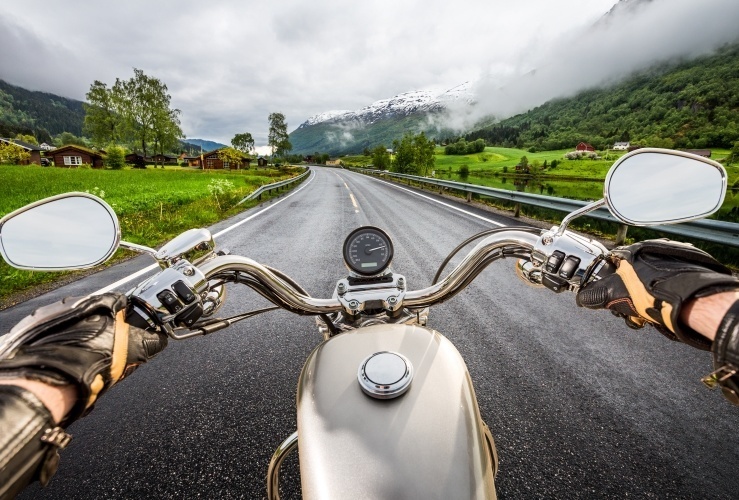 For those among our motorcycle breakdown cover customers who don’t like riding in colder, wetter months, May brings the opportunity to get back on the saddle. Warmer, drier weather means moving around on two wheels is a lot safer – and more pleasant. However, as we were reminded recently, spring doesn’t always behave as it’s supposed to. The end of April saw snow fall across some parts of Britain; now, just two weeks later, many areas of the UK are enjoying temperatures in excess of 20 degrees. So, while we’re hoping there won’t be any more nasty weather between now and September, it does pay to be prepared. Here we look at some ways to prepare for the different weather conditions you might encounter. Getting soaked by rain while riding is not pleasant, so the right clothing is crucial. Wear a high quality one or two-piece rain suit, with boots and gloves. Choose a helmet with an anti-fog visor or breath-guard. Visors with electric defrost functions are also available. 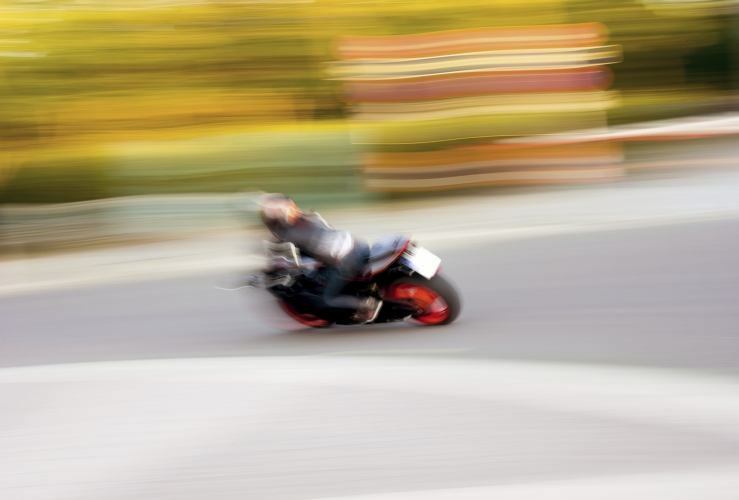 Use the throttle in small increments and reduce your lean. Brake early to avoid a sudden jab of the brakes as you approach the desired stop-point. Anywhere cars frequently come to a halt you will find higher concentrations of oil on the road. Rain can make surface oil even more slippery. 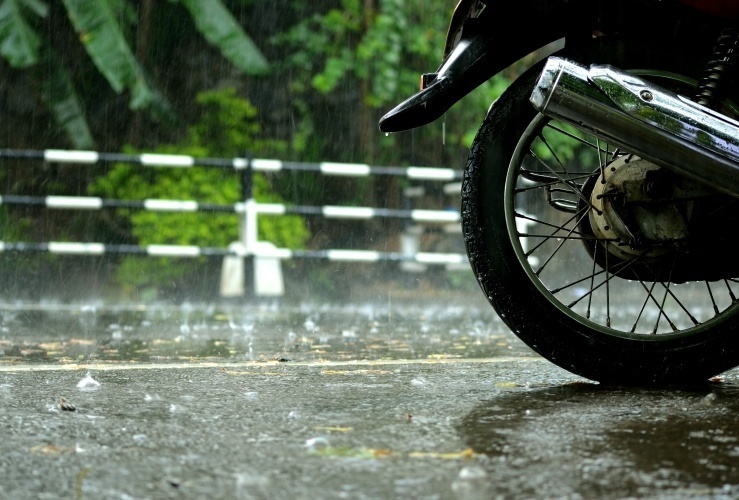 Common sense perhaps, but some riders don’t move onto the dry sections of the road in the hours after rainfall. Dry parts of the road will of course give you much better traction. 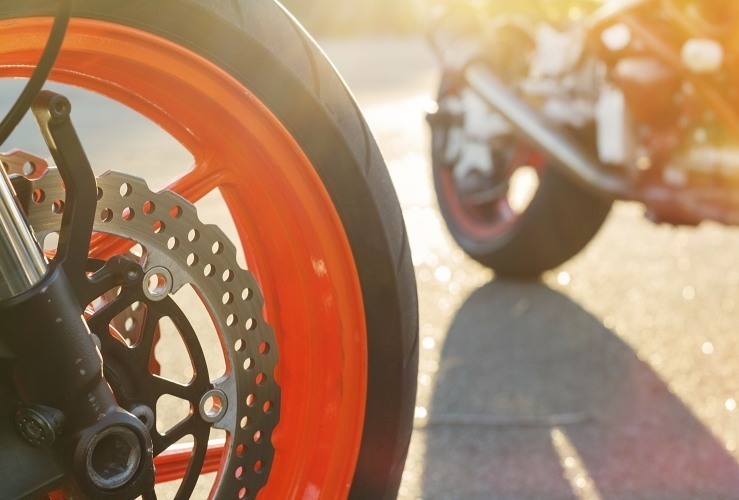 Extreme heat is not a common problem for UK motorcyclists – which means it’s even more important to be ready for it. Over-confidence can lead to being ill-prepared. If you’re suffering heavy sweating, cramps, nausea, headaches, flushed or pale skin, extreme fatigue or dizziness – you could be suffering from one of the above. Stop somewhere safe and wait until you feel better. Don’t rush to get back on your bike. Heat exhaustion and heat stroke can have serious – even fatal – consequences. Before a big road trip, when you’re fresh, fed and watered, it’s hard to imagine how quickly you may dehydrate when you’re out on the road. Bring more water than you think you’ll need. Pencil in some service station stops to give your body and brain a chance to cool off and relax. This may seem counter-intuitive, but if your skin is exposed while riding, the sweat will evaporate immediately, preventing your body’s cooling system from working. So, just like the Bedouins in North Africa, keep yourself cool by covering up with a layer or two. If you’re going in for some extensive summer motorcycling, consider investing in one of these. It’s not sensible to go out riding in gale-force winds. But if you do suddenly encounter some high winds, you should be prepared. Open plains, hill tops, valleys and roads beside bodies of water are typically more conducive to high winds. Keep your head down and your arms and legs in. This will present the wind with less purchase, keeping you more stable. Blustery weather is unpredictable, so you have no choice but to keep your speed down and to loosen up. Be ready to increase speed, then lean and steer quickly to regain stability. Ride in the middle of the lane so you have more space to straighten up. If the wind is too high, consider stopping and waiting for it to die down.